Local artist Ann McFarren will instruct the next Sip ‘N Dip class in painting this waterside landscape. Wednesday, March 9 at 6:30 p.m. — RUTLAND — Join the Chaffee Art Center for arts night out on Wednesday, March 9 at 6:30 p.m. 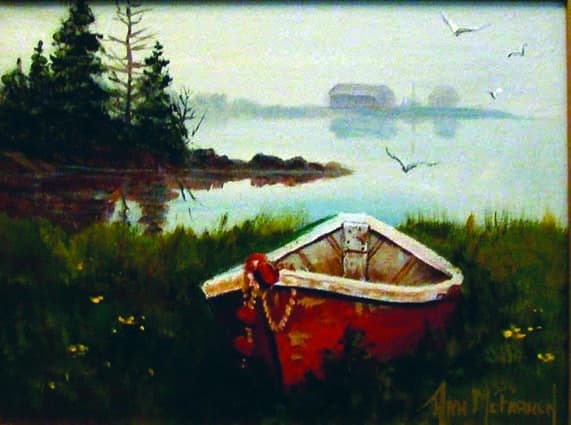 Follow along with instructor Ann McFarren to paint a waterside landscape to take home. All materials are included in the $30 per person fee. Chaffee members are charged a discounted rate of $25. It’s BYOB, so grab a favorite bottle of wine and a few close friends for an evening of fun and creativity. Chaffee Downtown is located at 75 Merchants Row, Rutland. For more info, email info@chaffeeartcenter.org or call 802-775-0356.